If you are a startup, you may feel like business insurance is an expense you can postpone, but that’s not always the case. Let's talk about the various forms of business insurance. Employer Insurance. The most common type of coverage is workers' comp and unemployment insurance — two added expenses besides the payroll taxes you pay. However, when you hire a freelancer, you do not have to worry about any of these costs (see our article Why You Need to Hire a Freelancer for your SMB). Professional Liability Insurance. If you commit a grave mistake, the cost of a business liability policy is much less than what you may spend on a settlement and legal fees. Even if you try to follow the best business practices, you could find yourself a party to a lawsuit. According to Forbes (2014), 36%-53% of small businesses are involved in at least one lawsuit in any given year, and at least 90% of all companies are engaged in at least one form of litigation at one point or another. If you commit a grave mistake, the cost of a business liability policy is much less than what you may spend on a settlement and legal fees. Property and Casualty Insurance. Some things are outside your control such as damage caused by a fire, flood or natural disaster. Depending on the terms of your property and casualty insurance, it may cover the cost to repair or replace equipment, furniture, and buildings. 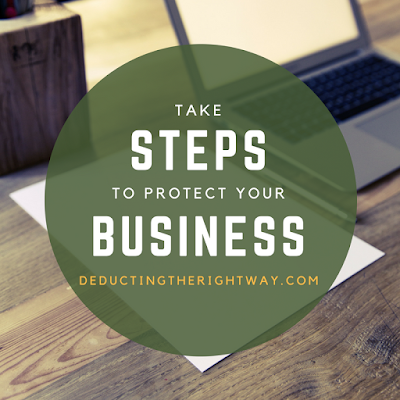 You can also access more in-depth coverage by adding business interruption insurance which protects against the loss of income while your business is closed. TIP: Before you opt out of a small business insurance policy remember that it’s better to have it and (hopefully) not need it than not have coverage at all. \n[We may earn a commission or referral fee when you click on the links appearing in this post. Read full disclosure]. \nLet's talk about the various forms of business insurance. \nEmployer Insurance. The most common type of coverage is workers' comp and unemployment insurance — two added expenses besides the payroll taxes you pay. . However, when you hire a freelancer, you do not have to worry about any of these costs (see our article Why You Need to Hire a Freelancer for your SMB). \nProfessional Liability Insurance. If you commit a grave mistake, the cost of a business liability policy is much less than what you may spend on a settlement and legal fees. Even if you try to follow the best business practices, you could find yourself a party to a lawsuit. According to Forbes (2014), 36%-53% of small businesses are involved in at least one lawsuit in any given year, and at least 90% of all companies are engaged in at least one form of litigation at one point or another. \nIf you commit a grave mistake, the cost of a business liability policy is much less than what you may spend on a settlement and legal fees. \nProperty and Casualty Insurance. Some things are outside your control such as damage caused by a fire, flood or natural disaster. Depending on the terms of your property and casualty insurance, it may cover the cost to repair or replace equipment, furniture, and buildings. You can also access more in-depth coverage by adding business interruption insurance which protects against the loss of income while your business is closed.